Scenery in the Falcarragh area is second to none. View two of Donegal's most famous mountains, Muckish and Errigal or walk its miles of golden beaches at Ballyness Bay or Drumnatinney. The spectacular sea cliffs at Horn Head and Glenveagh National Park are just a short drive away. The islands of Tory and Inisboffin can be seen from the coast, both of which are accessible from Magheroarty Pier nearby. 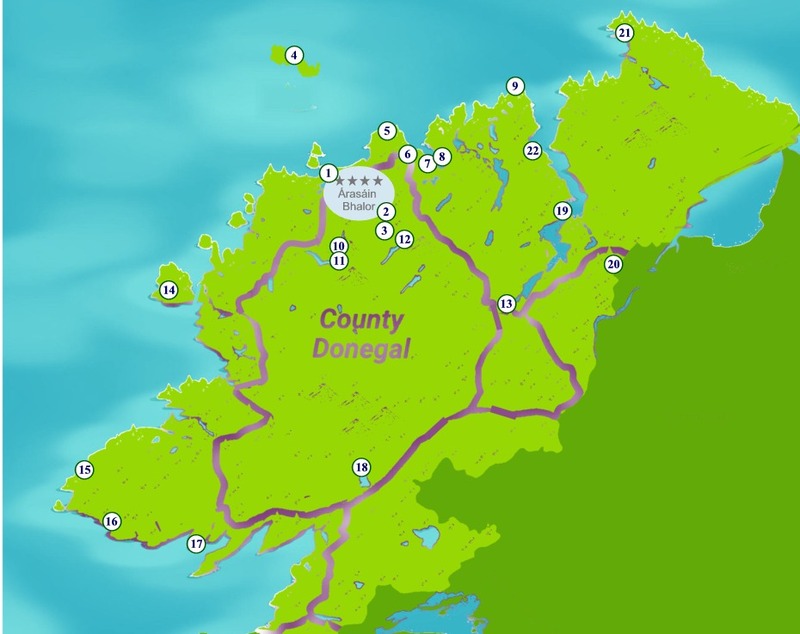 Falcarragh is an ideal base from which to tour North West Donegal. Tar agus bain sult as áilleacht na h-áite. (c) 2018 Árasáin Bhalor. All rights Reserved.